Chennai: SriLankan Airlines customers will soon enjoy greater access to cities throughout South East Asia and Australia as part of a new codeshare agreement with Jetstar Asia. From 5 April 2015, SriLankan customers will be able to travel on codeshare services operated by Jetstar Asia on seven routes from Jetstar Asia’s hub in Singapore. The cities of Darwin, Phnom Penh and Phuket will be new destinations to SriLankan’s customers. The other destinations to be included are Bangkok, Ho Chi Minh City, Kuala Lumpur and Perth. SriLankan passengers will benefit from the convenience of a single ticket itinerary that includes SriLankan’s baggage allowance. Passengers will enjoy a seamless transfer at Singapore’s Changi airport, with baggage being through checked and onward boarding passes being received at the initial departure point. SriLankan Airlines CEO Mr. Chandrasena considers the new codeshare agreement as a means for enhanced tourism between the Sub continent and Asia Pacific regions. “We consider this a tremendous opportunity for Sri Lankans who can enjoy greater connectivity from Colombo via its gateway in Singapore to fascinating new destinations of the South East and cities in Australia. Passengers from those destinations too will now have seamless travel options taking advantage of SriLankan Airlines’ daily services from Singapore to our Colombo hub. “Additionally, our customers will be able to connect with our daily frequencies to India, Pakistan and the Maldives further boosting tourism between the two regions. “With Australia being home to a large Sri Lankan expatriate community, the services to Perth and Darwin with Jetstar Asia will provide them greater connectivity and convenience when travelling to Sri Lanka to visit families and friends back home,” said Mr. Chandrasena. SriLankan Airlines is one of the largest South Asia carriers and the expanded cooperation will provide passengers attractive itineraries as well as enhance Jetstar’s regional footprint, said Jetstar Asia CEO Mr. Barathan Pasupathi. “SriLankan Airlines’ customers will have access to Jetstar Asia’s extensive network in Southeast Asia and Australia, while transferring enjoying Singapore Changi’s world-class facilities” said Mr. Pasupathi. Mr. Lim Ching Kiat, Changi Airport Group’s Senior Vice President of Market Development, said, “Changi Airport welcomes this development between SriLankan Airlines and Jetstar Asia as not only would it promote greater people flow between South Asia and Southeast Asia/Australia via Changi, but also grow both airlines’ businesses in Singapore”. SriLankan Airlines currently operates up to three daily services to Singapore. 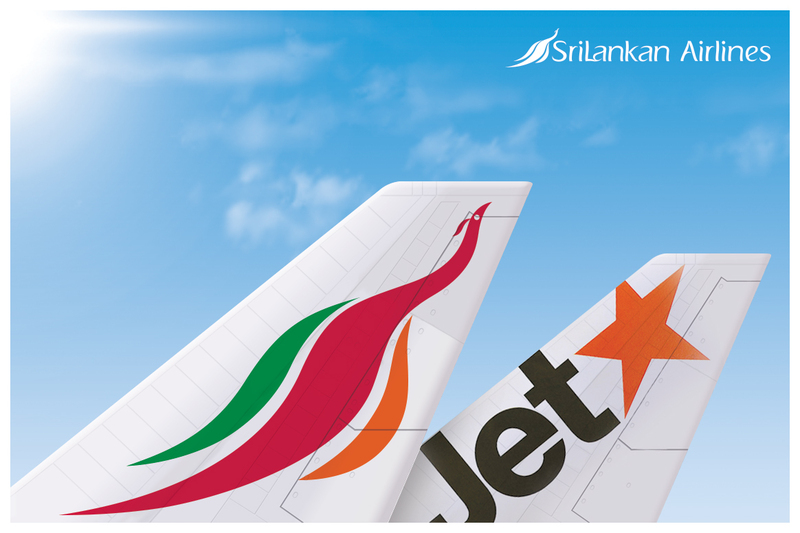 SriLankan Airlines has interlined with all airlines in the Jetstar Group since June 2014. The Jetstar Group will now have five codeshare partners on selected routes – Qantas Airways, Emirates, Japan Airlines, American Airlines and SriLankan Airlines. LatestOne.com Crosses Milestone Of 1 Lac Orders In a Month – Announces BIG SALE !